I.O.B.G. 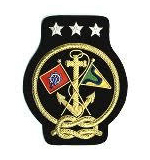 blazer emblems are authorized for sale by Commodore Insignia. 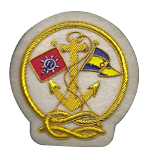 These emblems have the Blue Gavel burgee on the left staff and the Commodore’s club burgee on the right staff. They are available in a white or black background. 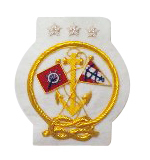 Below are samples of Blazer Emblems we have made for yacht clubs. We may have your Burgee on file. 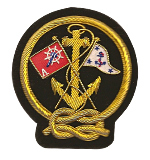 Please EMAIL or Call (800) 315-7485 to inquire about your Burgee. The estimated time of shipping is 5 to 6 weeks from the time we receive the print and order. (*) WARNING: Use of Magnetic backing for individuals that have pacemakers need to check with their doctor before using magnetic backing on blazer emblems.